Well-positioned in Jomtien Beach, Splendid Resort @ Jomtien is the ideal point of departure for your excursions in Pattaya. From here, guests can enjoy easy access to all that the lively city has to offer. A well-kempt environment and its proximity to Immigration Office, British Consulate, Royal Danish Consulate give to this hotel a special charm. Splendid Resort @ Jomtien offers impeccable service and all the essential amenities to invigorate travelers. The hotel offers access to a vast array of services, including car park, room service, family room, restaurant, tours. 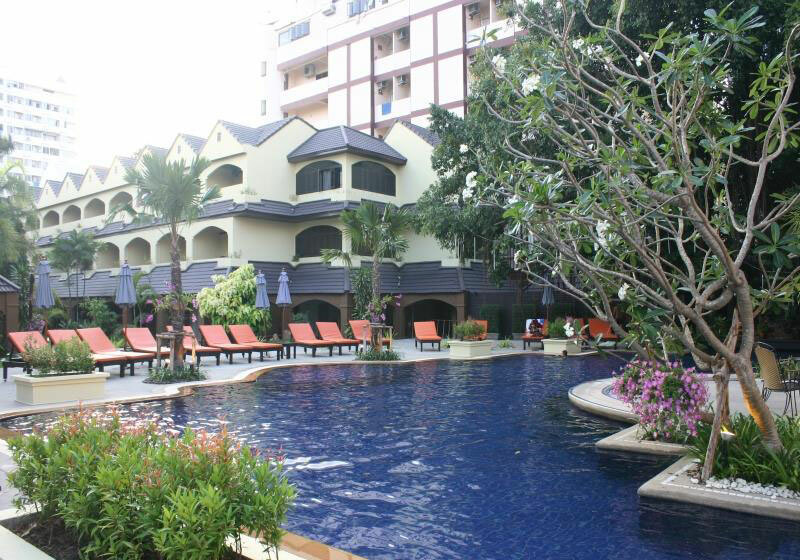 Splendid Resort @ Jomtien is home to 196 bedrooms. All are tastefully furnished and many even provide such comforts as television LCD/plasma screen, non smoking rooms, air conditioning, wake-up service, mini bar. The hotel offers fantastic facilities, including outdoor pool, spa, massage, pool (kids), garden, to help you unwind after an action-packed day in the city. Whatever your purpose of visit, Splendid Resort @ Jomtien is an excellent choice for your stay in Pattaya. Short Description: Well-positioned in Jomtien Beach, Splendid Resort @ Jomtien is the ideal point of departure for your excursions in Pattaya. From here, guests can enjoy easy access to all that the lively city has to offer. A well-kempt environment and its proximity to Immigration Office, British Consulate, Royal Danish Consulate give to this hotel a special charm.